Please keep in mind, that this is a natural product. Colours may vary. 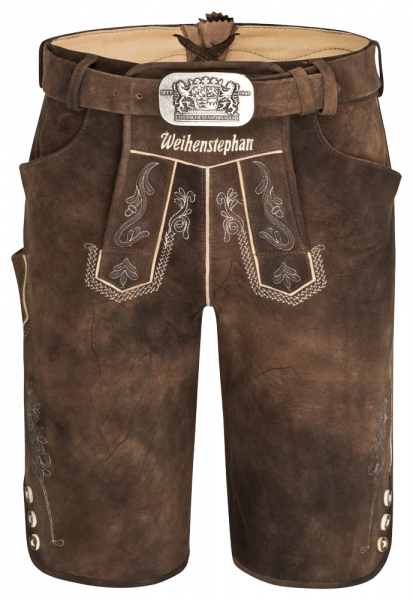 Product information "Lederhosen Weihenstephan Men"
The Weihenstephan leather pants have an elaborate embroidery and are made of premium quality buck (Goat) leather. The embossed belt buckle, the sportive cut and the button tape make the rustic look perfect.